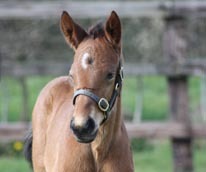 Our first foal of 2011 has arrived - it is Sogno Verde again! 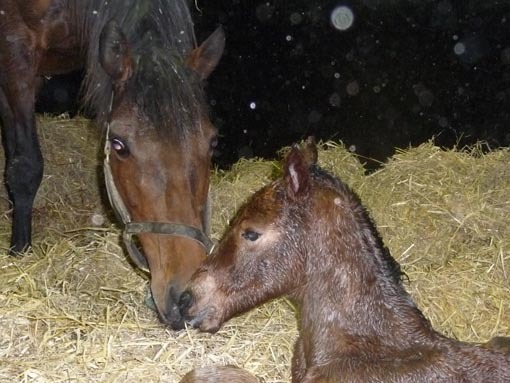 Proud mother with her filly by Mastercraftsman. 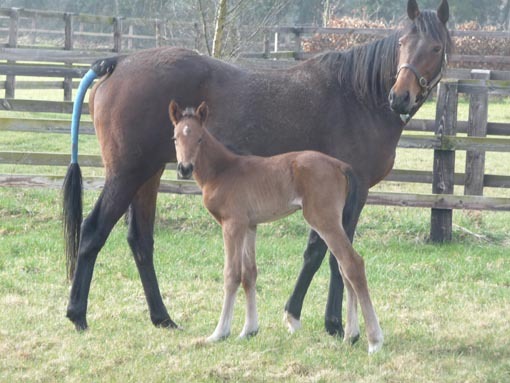 Our 2011 season has finally started with Nisriyna and Theola covered and our first foal born. Miss Lloyds has been transferred to France and has been covered by Spirit One, Group 1 winning son of Anabaa Blue. Sogno Verde has had an uncomplicated foaling as always and produced a lovely filly foal by first crop Coolmore sire Mastercraftsman. 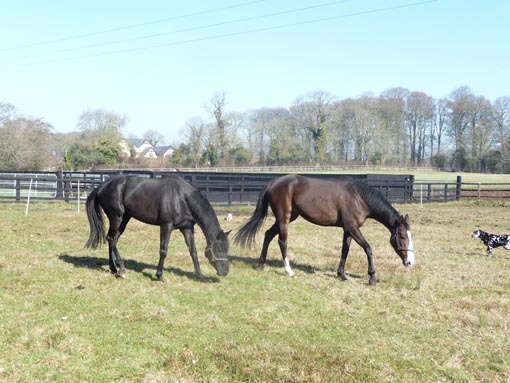 The flat season in Ireland has officially commenced with today\'s meeting at the Curragh and Des and Mariann are back in the saddle at Mr Oxx\'s Currabeg yard. The filly's first attempt to stand did not take her long too long and shortly thereafter she was already cantering by her mother's side. Seen out in the paddock at 12h (middle) and 24h (right). Mastercraftsman, dual Gr 1 winner at 2 and 3. European 2yo Champion and Classic winning miler at 3. 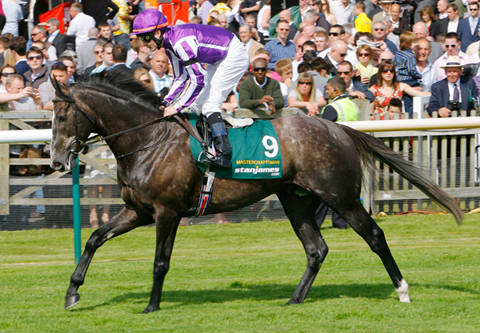 This year Sogno Verde will visit Breeder's Cup Mile hero Raven's Pass. Two youngsters, watching each other. Yves St Laurent has found a good home in Ireland. Theola and Nisriyna have both been covered.